If an individual company or organization owes you money, before settling for a court case, it’s wise to start with a demand letter. 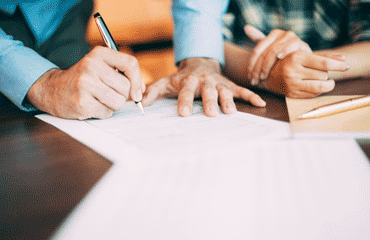 The letter outlines why you are entitled to the claim, and the consequence that will follow in case the other party doesn’t pay or negotiate for a reasonable settlement of the debt. You can draft the demand letter, or your attorney can do the work for you. You might find challenges crafting a compelling demand letter that will yield positive results. In such a case use a template or a sample to know how to write the letter. Avoid Offensive words: Even though you are demanding what is legally yours, use a polite tone in the letter. Arguments and rude words will only make the situation worse and start bitter exchanges between the parties. Be specific: When writing a demand letter, know what you want and request a specific figure. Though it might be difficult to quantify damages such as pain and other emotional aspects, you can use the services of your attorney to get an estimate. Make copies of the letter and make sure it’s delivered to the right person: After drafting the demand letter, make several copies and file them. If the debtor claims not to have got the letter, you can send another copy. Copies of the same letter can be used in court if the individual does not pay the money. Avoid exaggerated demands: To make it easier for your debtor to pay, avoid exaggerating the amount. Avoid any unnecessary penalties that will render the debt too high for the person to pay. Be clear on the repercussions of failing to honor the demand: Your debtor must know the actions that will follow if they do not pay the debt. They should not be surprised if you meet them in court. Inform them in the letter with specified deadlines for the payments. Why you should be paid: In the demand letter, indicate a clear reason you should be paid and possibly how you arrived at the said figure. The letter should include adequate details about the debt.Remember, the letter can later serve as evidence. The reasons highlighted should make a strong case that can be presented in court. Issue a deadline: When writing the demand letter, include a time limit that the individual must make the payment. A demand letter without a deadline will form weak evidence in case you proceed to court. State specific demands: The individual should not guess the amount they should pay. In the letter, indicate a specific amount that the individual should pay. If you don’t require payment, state the precise task that should be carried out. Embrace professionalism: Using the right words in the demand letter is essential. Avoid offensive language in the letter. If possible offer alternatives such as an extended repayment period or a non- monetary repayment option. Based on our earlier communication dated (date), you promised to clear your outstanding debt by (date). It’s now two months after expired of the stated period yet we have received no communication from you. We are making a final appeal to you to clear your outstanding debt of ($amount) before (date). Failure to honor this demand we will have no option but to take legal action. Kindly, adhere to the demands on this letter to avoid further consequences. Thank you in advance for a prompt action. This letter informs you that you are late in paying your son’s Evan Mills monthly upkeep of $2000 for the third consecutive month. When you signed Evans upkeep contract, it was stated clearly that you would make payments on 5th of every month. A penalty of $200 was attached to payments made after one week. I will drop any demand for the penalties if you settle the payment in one week. If not, you will be required to pay the total amount including the penalties for the three months. Kindly adhere to the contract to avoid inconveniencing our son. If the trend continues in the coming months, I will have no choice but to return to court. If you have any challenges honoring the contract, let us discuss to avoid settling the matter in court.